Every year EMERGENCY publishes an Activity Report on its humanitarian programmes, including a summary of the missions and detailed country-specific programme updates. 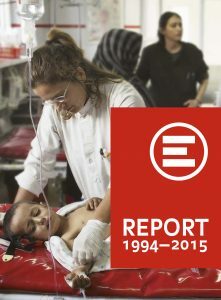 The activity report also includes interviews with doctors and nurses working in our hospitals around the world. Click here to access the 2016 Activity Report.